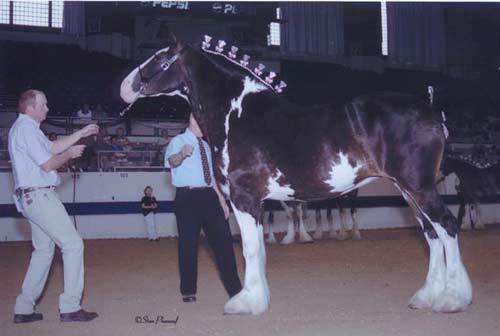 Click on the images below to view larger pictures. 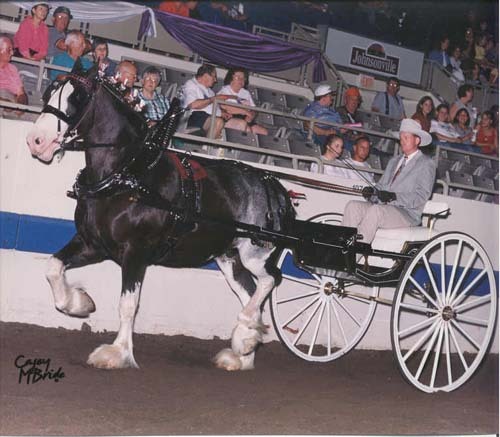 Sired by Armageddon's Lord Caleb out of Wolf Mound's Determination. 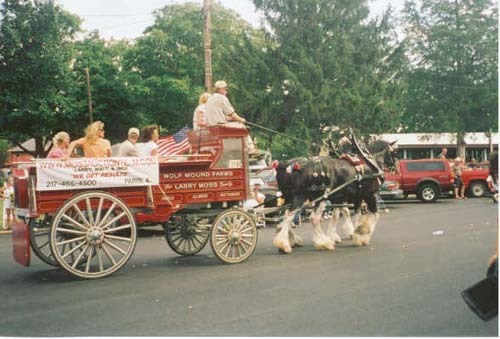 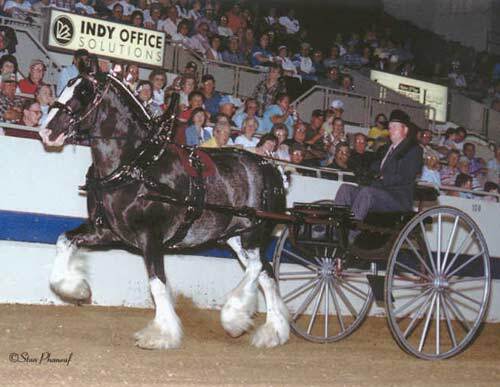 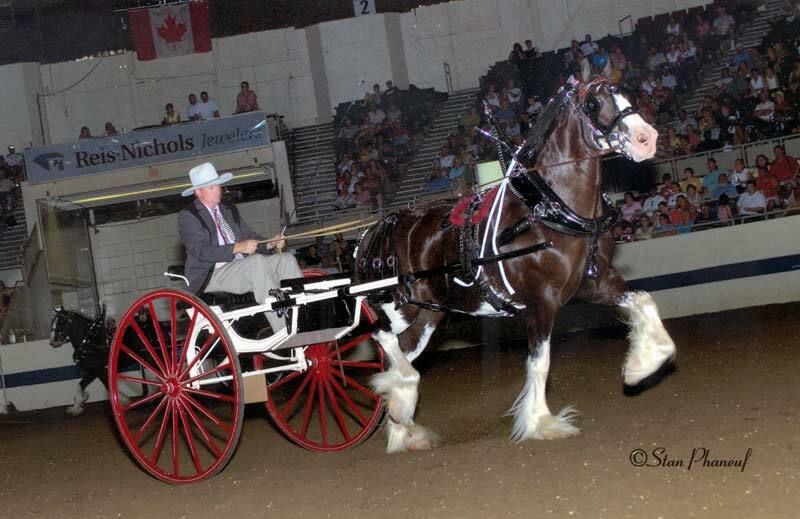 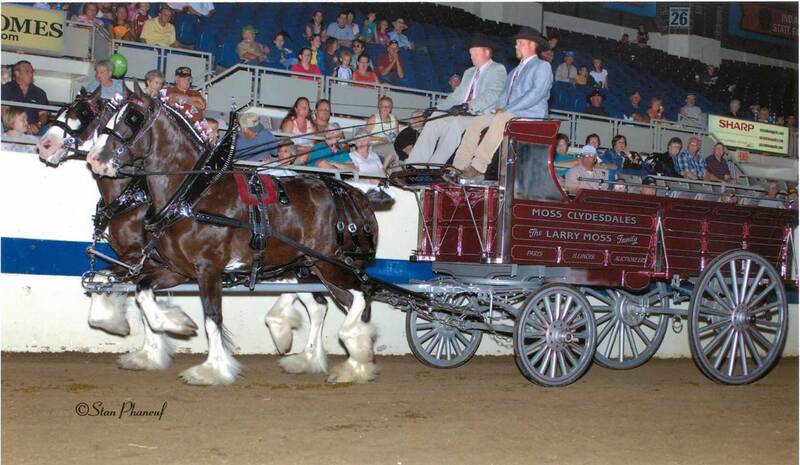 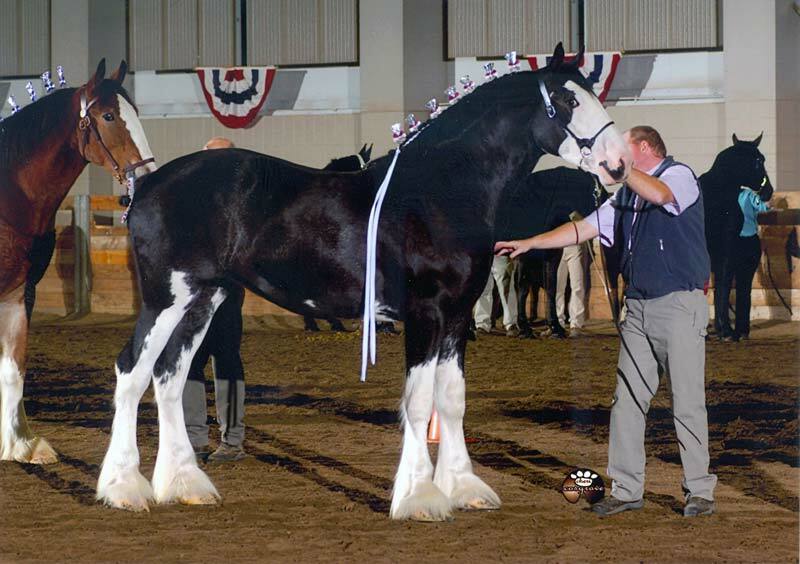 George placed 3rd in the Men's cart at the 2004 Indiana St. Fair. 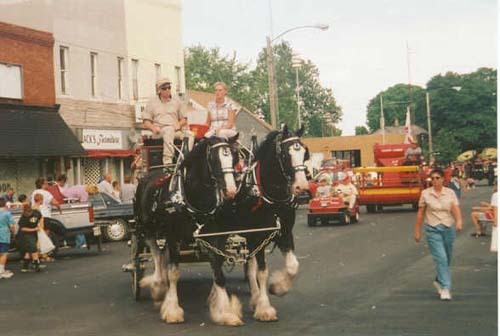 Matt & George at the 2004 Indiana St. Fair. 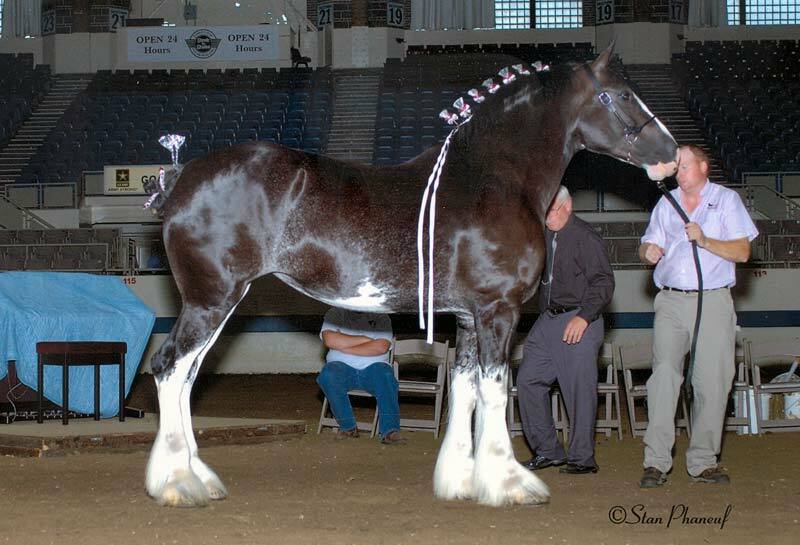 Wolf Mound's Megan-our 4 yr. old Donegal Midnight Express daughter. 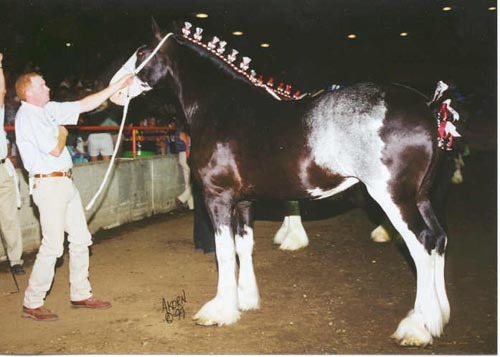 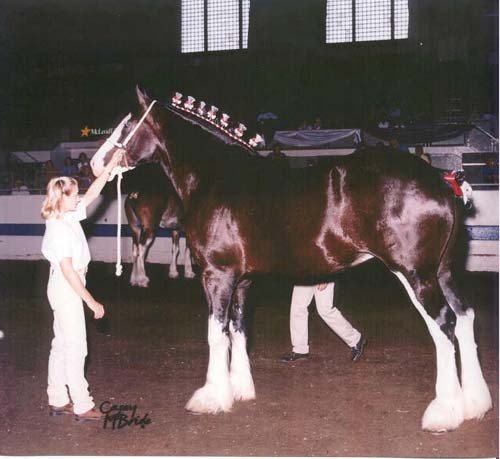 Lady (4/16/90  7/26/01) was a "one of a kind" mare. 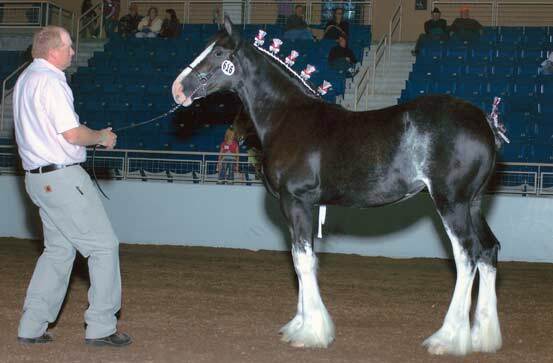 She was a total surprise when she came into this world, because we were not expecting a "Black". 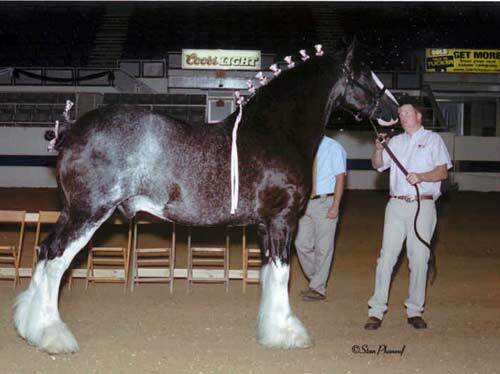 Lady brought home many blue ribbons and Championships in her career has a halter and hitch mare. 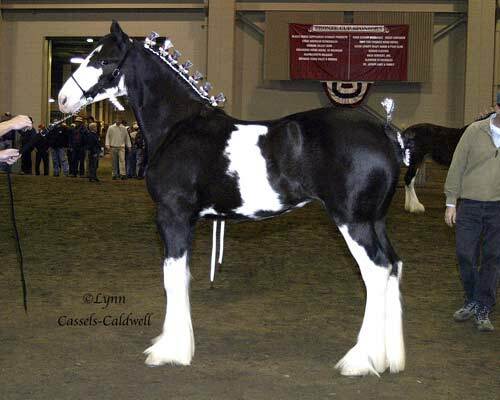 She is well remembered for her white colored flank that came to be known as the "frosting on the cake". 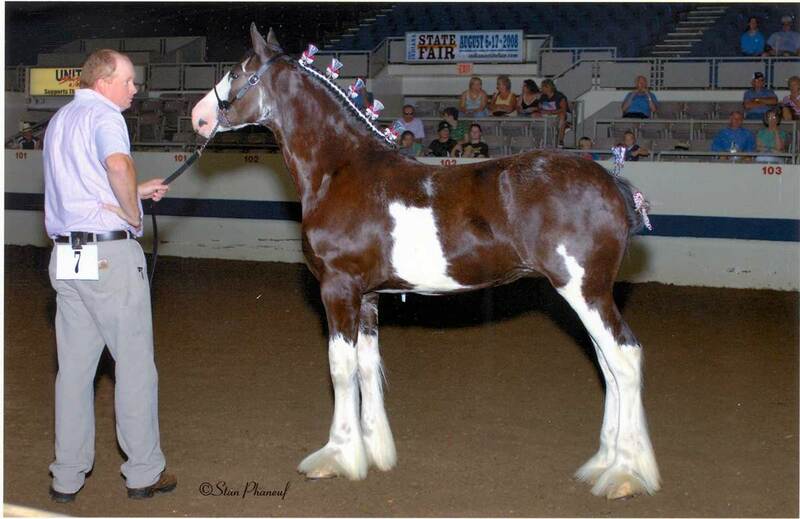 Lady will be greatly missed, but will never be forgotten. 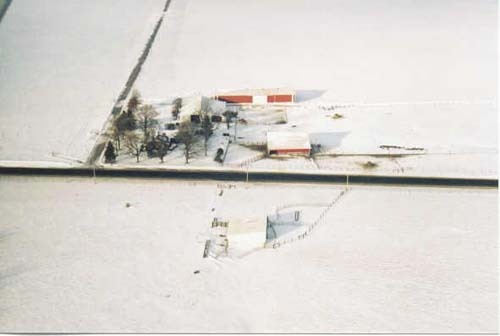 Wolf Mound Farms in winter.